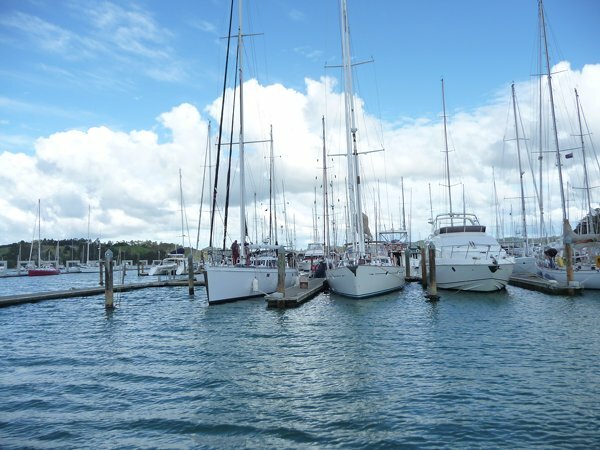 We here in Opua amongst a dozen or so other yachts all waiting for the right weather “window”. It’s the same old story, this time last week we thought that Monday looked perfect. We were all prepared and ready to go but the weather changed track and here we are for at least another week. In the meantime there are a lot of anxious looking people wandering up and down the dock asking every one when they are going to leave. The yacht club does good business, the chandlery too as last minute shackles or what nots are bought. Now there is plenty of time to catch up on all those not quite completed tasks.